CONTRACTORFIND.co.za™ is proud to showcase only the best, registered and certified Piling Contractors in West Rand. Need qualified Piling Contractors for the job? CONTRACTORFIND.co.za™ is the place to find them! All the listed Piling Contractors below have been screened and certified, ensuring that their service and quality is the best in West Rand. Find the top Piling Contractors in West Rand now. 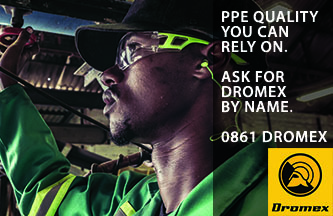 Gauteng Piling actively promotes partnering i.e. working together cohesively with all parties involved on a contract as a team. Gauteng Piling has 21 auger machines, 2 cranes,2 bore rigs, 4 Grundo hammers in their fleet. Sanyati is an empowered and diverse construction group providing innovative engineering solutions. Deep foundations are sometimes indicated by geotechnical engineers when soil conditions are poor or a heavy design load needs to be carried. Standard auger piling is the most commonly used pile and is best suited to partially saturated cohesive and residual soils. The piles are installed by means of drilling with an auger rig. Drilling is carried out by rotation of the drilling head and lowering of the auger allowing it to penetrate into the soil. Once the auger flight is full with soil it is withdrawn and spun off. This procedure is repeated until the desired depth is reached. Once the drilled hole has been completed, a reinforcing cage is lowered down into position. The shaft is then filled with concrete and is vibrated to assist compaction of the liquid concrete.